I've been making this recipe for years and it is so good. My daughter begs for it pretty regularly! It is made with arborio rice. It can be expensive, unless you find it at Trader Joe's or in a bulk bin. Sometimes Vons sells a small box for a couple of dollars. I like using arborio because the rice is so creamy. It's a delicious treat. 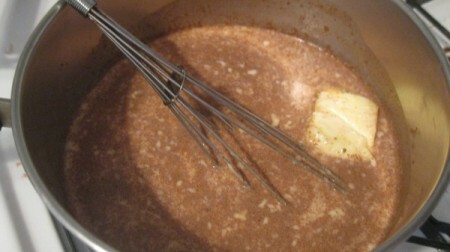 In saucepan, add half and half (or whatever you are using), sugar, 1/4 cup butter, salt, cinnamon, and nutmeg. Stir around. I just heat it til most of the butter is melted and the mixture is warm. Butter a baking dish that has a lid. 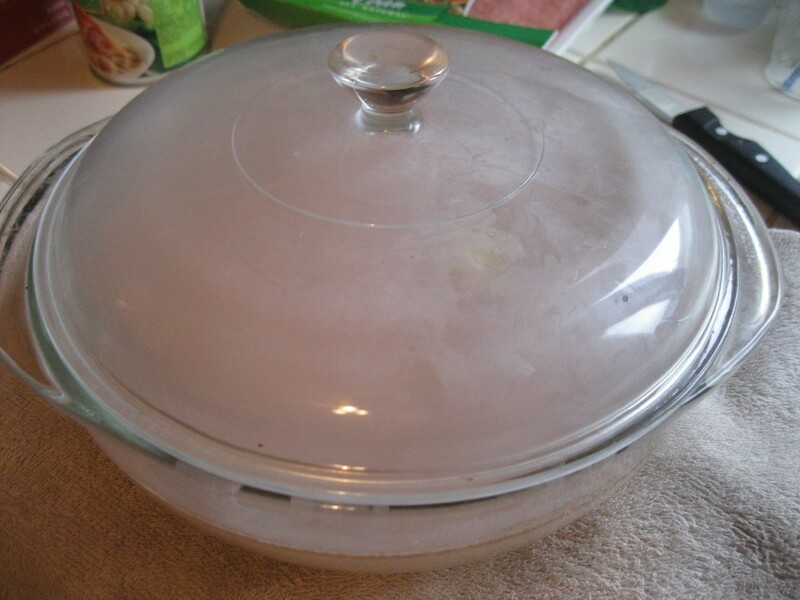 (If you have no lid, tightly wrap aluminum foil around your container once the mixture is in it). Put the baking dish on a cookie sheet or some other pan. The pudding will bubble up and some of it oozes out. 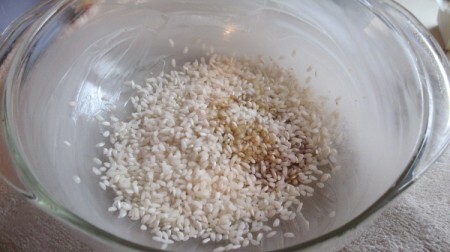 Add arborio rice and vanilla to the baking dish. Add milk mixture to the rice. There is a very large amount of milk compared to rice. But don't worry the rice will soak up the creamy mixture and thicken up as it sets. 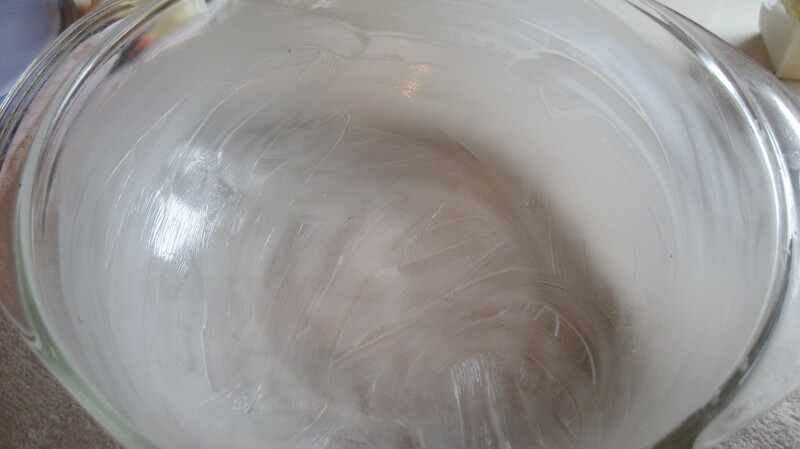 Cover pudding with lid and place in the oven. Bake 2 hours, stirring every half hour. Up until the last half hour, the mix will still be very thin. It will thicken. I promise! It thickens even more when it's refrigerated. 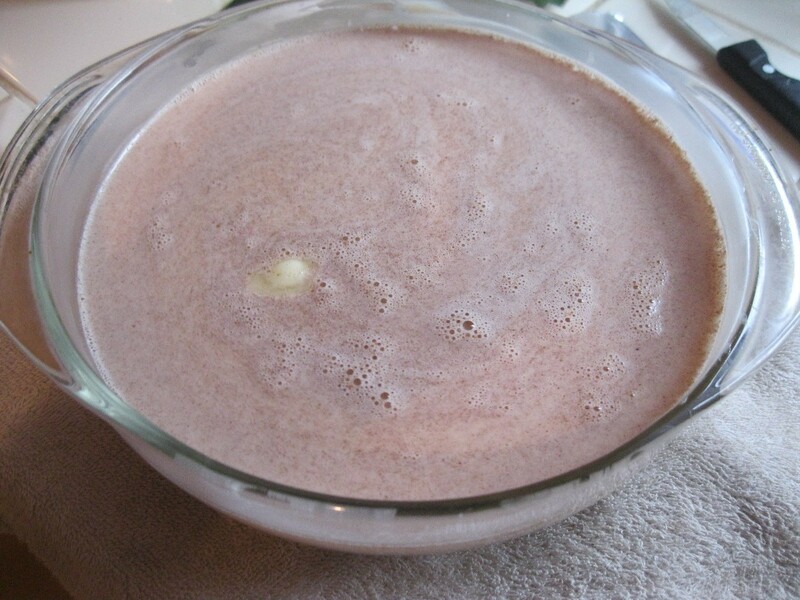 Enjoy hot or refrigerate and eat when the pudding is cold. This picture is the pudding when it was first taken out of the oven. 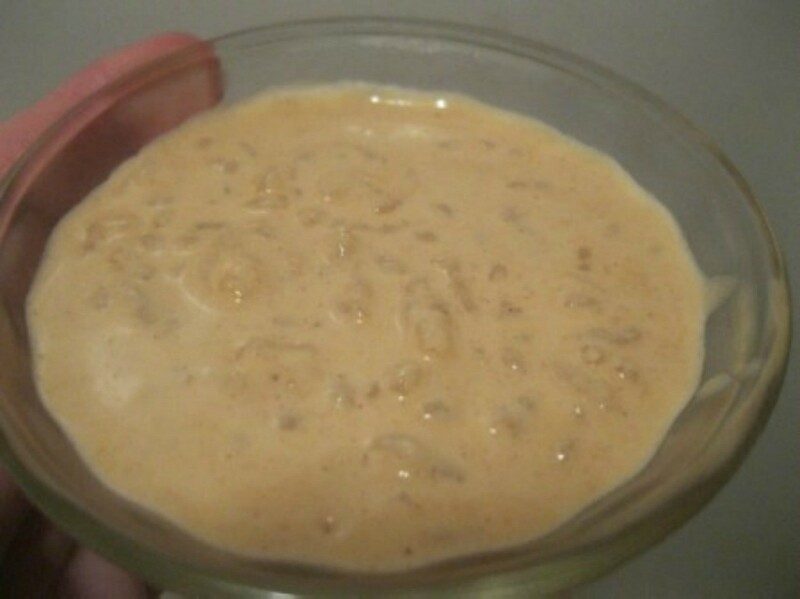 I have been thinking lately about how good rice pudding sounded for some reason... this one looks great! I'll be trying it soon. This sounds great; I've been thinking rice pudding sounded good, too! Thank you! This sounds great! I have several bags of Arborio rice which I got at a wonderfully reduced price, so am glad to find a recipe to use it besides making risotto. Thanks for posting!